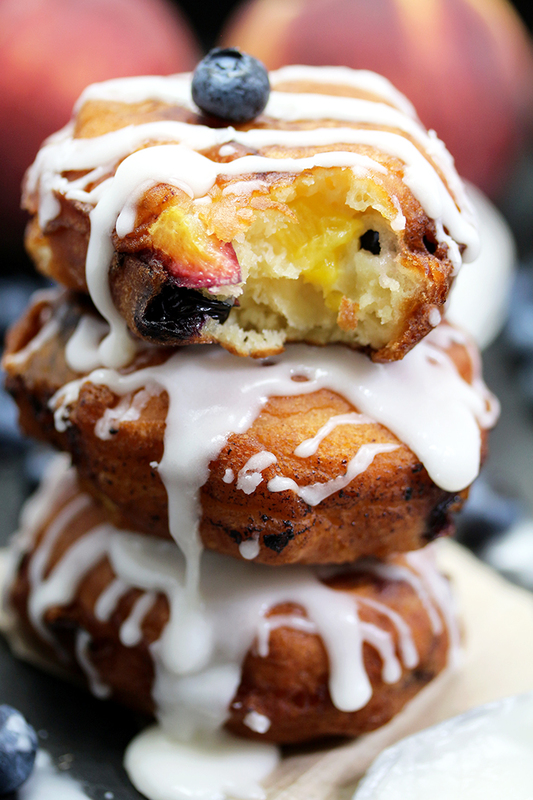 These Blueberry Peach Fritters with Vanilla Glaze are quick & easy soft fritters filled with fresh blueberries and peaches, with vanilla glaze. I love quick & easy recipes. 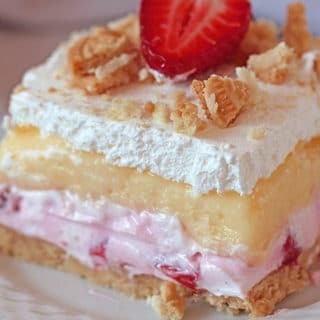 My husband often wants to have something sweet, so that‘s one of the reasons we have so many recipes for desserts. 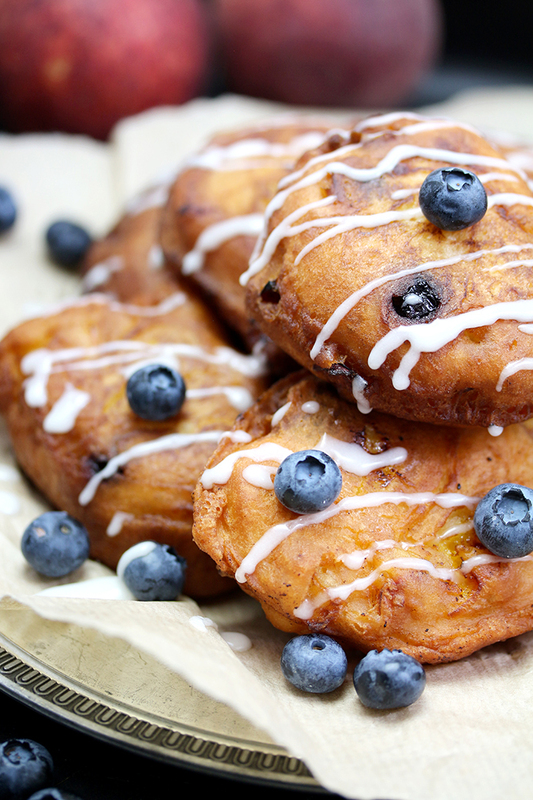 Blueberry Peach Fritters are just perfect. 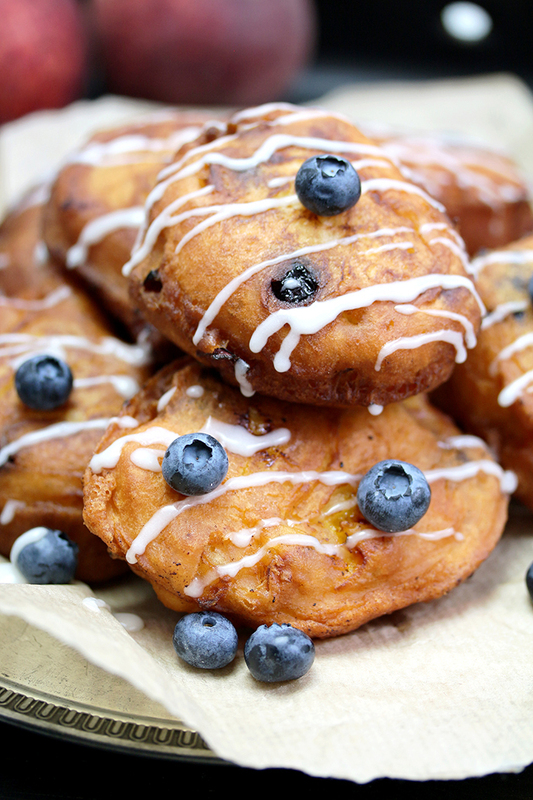 I suppose you‘ve all tried apple fritters. How about blueberry and peach ones? Try them and you won‘t be disappointed. 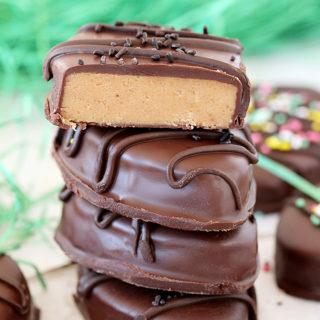 It doesn‘t take much time to prepare them and they are great treat for the whole family. 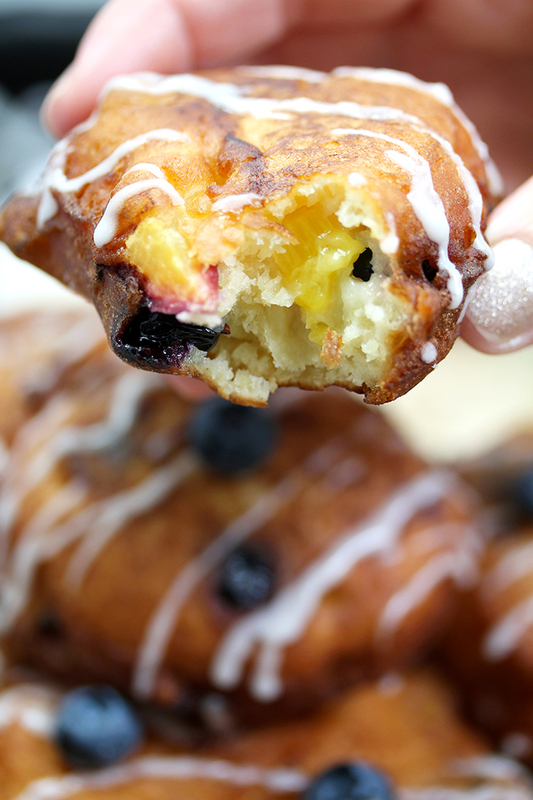 My husband really likes Blueberry Peach Fritters. Make the best of the peach and blueberry season and enjoy delicious summer desserts. All you need are a few standard batter ingredients, like flour, salt, baking powder, sugar, eggs, butter… Instead of milk, which is normally used for making fritters, I used yogurt. 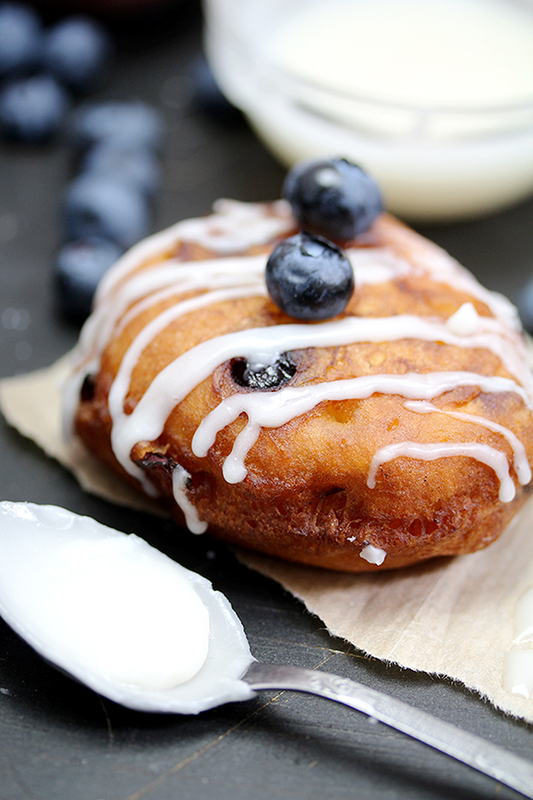 Blueberry fans should check our Blueberry recipes… Blueberry Cheesecake Chimichangas, Strawberry Blueberry Icebox Cake and Blueberry Lemon Yogurt Bundt Cake. Peach fans should take a look at… Fresh Peach Cream Cheese Cake and Banana Peach Chia Seeds Smoothie. 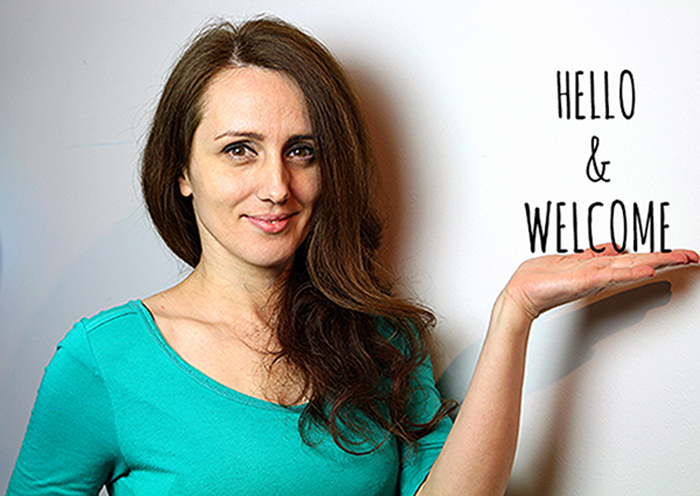 All of you, who like to try something new, visit our Desserts page. Summer is here, fresh fruit as well. 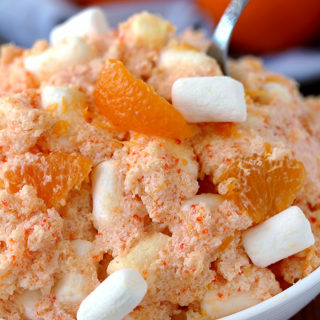 Let‘s make the best of it, treat yourselves, your families and friends with desserts you will all enjoy. 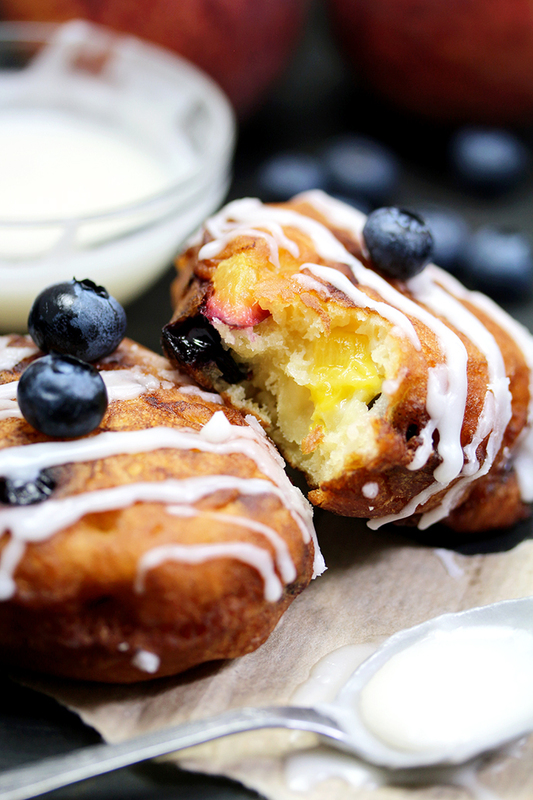 Blueberry Peach Fritters are definitely our choice. Enjoy! 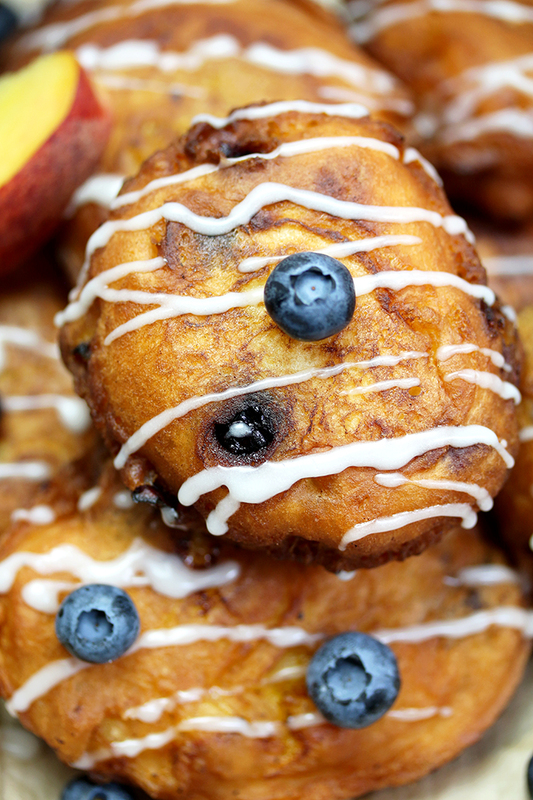 These Blueberry Peach Fritters are quick & easy soft fritters filled with fresh blueberries and peaches, with vanilla glaze. Put some oil in the pan, which is at least 1 inch deep. Set aside. Cover the plate with paper towels. Set aside. In a large dish, combine flour, sugar, salt and baking powder. Whisk in eggs, yogurt, vanilla and butter. Gently fold in peaches and blueberries. Heat oil to 375 F. It‘s ready when the batter, put in oil, rises. Take a ¼ cup batter and drop in hot oil. Fry for about 2-3 min, depending on how big the fritter is. Turn them round and fry for another 2-3 min until they are golden. Fry 3-4 fritters at a time. Put fried fritters on the paper towels.